a.k.a photoshopping old photos and new photos together. 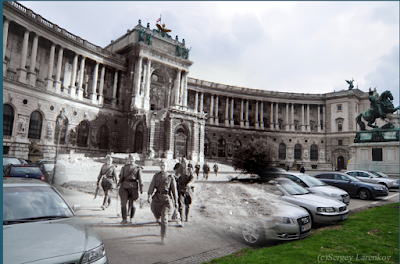 These "Then and Now" photos taken by Sergey Larenkov are pretty cool. Vienna. 1945/2010. Soviet soldiers at the Imperial Palace Hoffburg.